Sometimes I draw inspiration for a recipe from strange places (OK some of you already knew that). I saw a t-shirt printed with “imagine whirled peas” (say it aloud) the other day. I am familiar with split pea soup made with dried split peas. I wondered if pea soup could be made with fresh or frozen peas. A search of the internet revealed that a French soup called Potage Saint-Germain uses fresh peas. The name of the soup apparently comes from a suburb of France where peas used to be cultivated in market gardens. I did my spin on this recipe: http://notwithoutsalt.com/2009/05/25/fresh-pea-soup/. I didn’t have celery or onions. I added celery seeds, garlic powder, frozen soy beans, diced fresh carrots, and frozen okra. For the broth, I used the water the carrots were boiled in and added one can of chicken broth. I blended the peas only, I left the soy beans, okra, and carrots unblended. Instead of chives, I used green onions from our garden pot. I used less peas so that the soup would be not as thick but more brothy. Finally, I didn’t use any oil. 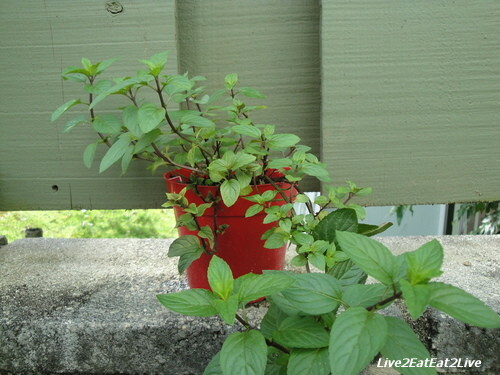 I also used a few leaves of chocolate mint (also from our garden pots). We don’t have a blender or food processor. 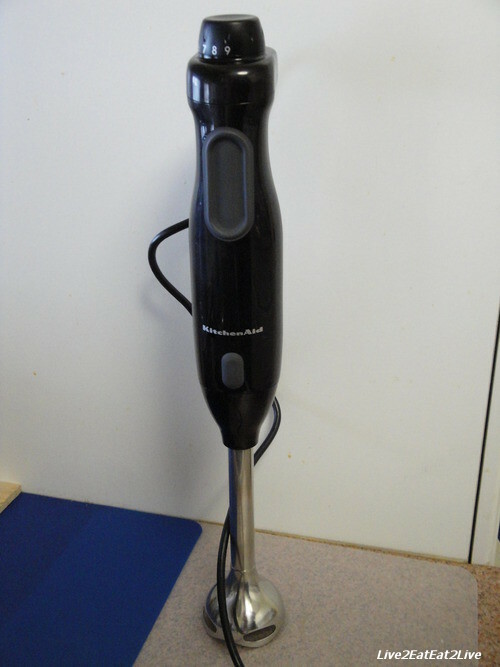 Instead, I used my immersion blender (Jedi knights have light sabers, I have an immersion blender and natto sticks (see 11 June 2010 post). I think I got the better deal. 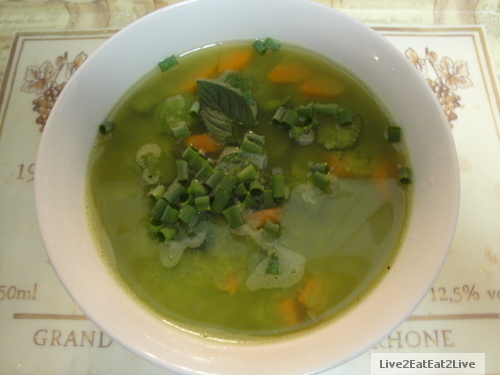 The Cat liked this soup, she said it was light, colorful, and healthy, just right for Summer. Wouldn’t be great if eating whirled peas could achieve world peace? I’m just saying.